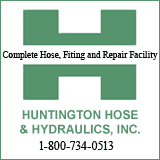 Huntington Mayor Steve Williams who is chairman of the Water Quality Board told a Huntington City Council work session that the Sanitary Board's contract with the out of state firm for street sweeping services is under review. He explained a decision will be made later this fall. The board is considering whether they could sweep streets more economically and efficiently using perhaps in-house sweepers. His comments came in response to an Arlington Park incident where a sweeping truck leaked hydraulic fluid. Williams explained that the truck went up an incline and developed a leak. Once discovered, "we had people come in and act immediately" [from the Huntington Sanitary Board]. One council member challenged whether any overtime or clean up should have been down by the contractor. "They work for us,not the other way around," Williams stated, suggesting the contract would not have made them responsible for an accident. Councilwoman Jennifer Wheeler expressed concern whether the fluid could have caused health contamination issues for people or animals. She reported the spill to to EPA after they advised her to do so. Residents not moving their vehicles on sweeping days was cited by council too. Williams stressed , "if individuals don't respond to a ticket, they will respond to towing." However, he said that in order for a tow to occur, a member of the city's already busy police department must be present for the towing.